As the Managing Director of Florentia Village, Maurizio Lupi is in charge of leading the team to successfully plan and execute a series of Florentia Village-Designer Outlets in the major cities of China, supervising design and construction, as well as leasing, marketing and day-to-day operations. Five years ago, he came to Shanghai for the second Florentia Village, bringing an immersive shopping experience to the city. During these years, he has witnessed the speed of city’s development, while helping Shanghai become a shopping paradise with Italian style. 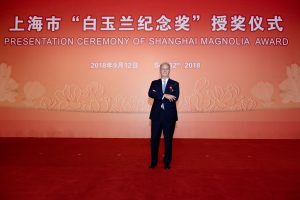 His contributions towards making Shanghai a shopping destination have earned him a Magnolia Award, one of the highest honors that can be bestowed upon a foreigner in Shanghai.